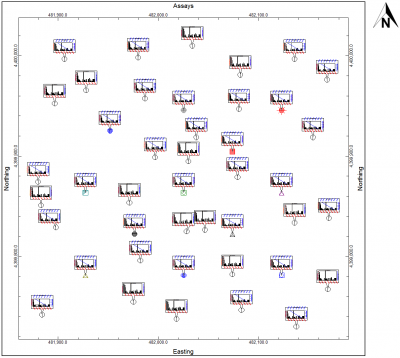 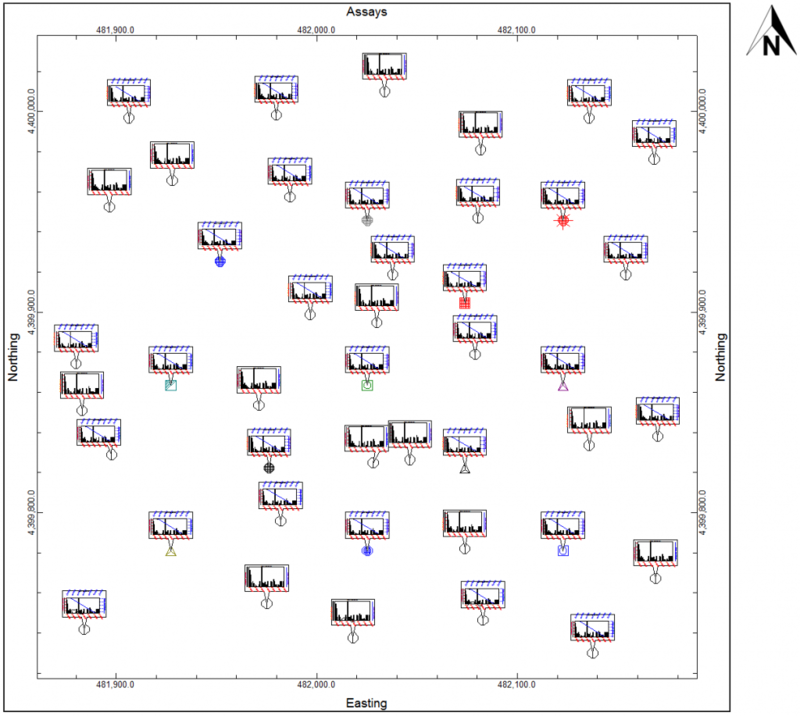 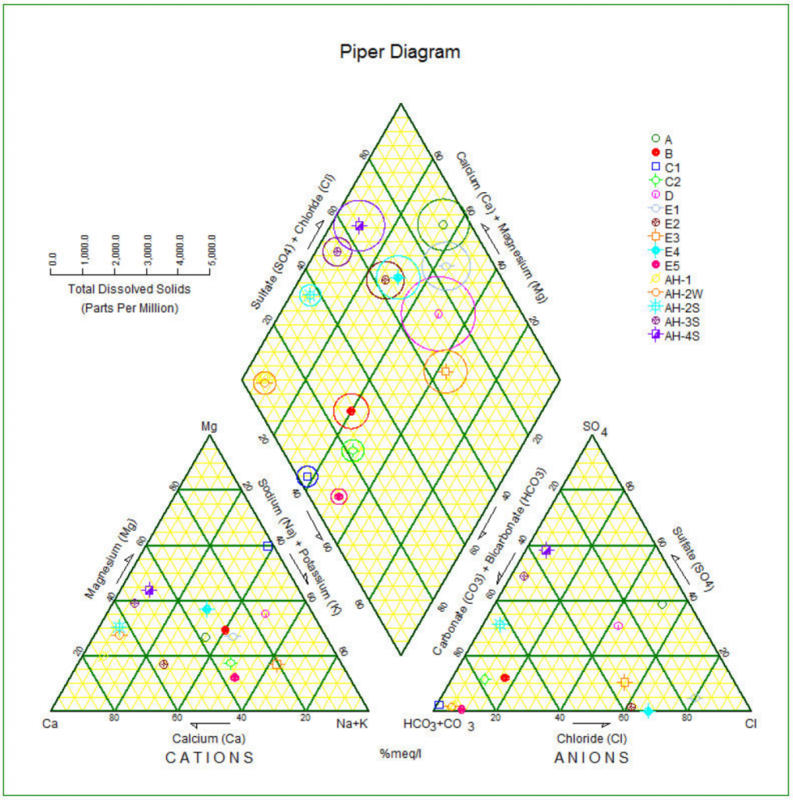 Use RockWorks to create a variety of hydrological and hydrochemical diagrams. 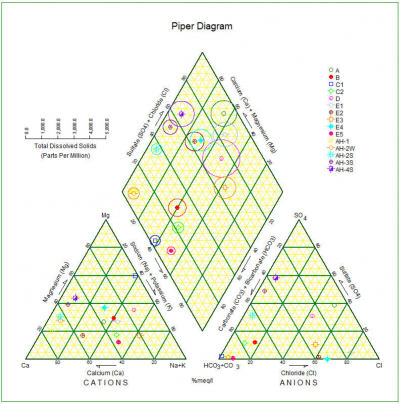 Piper diagrams illustrate ion concentrations for multiple samples. Include Total Dissolved Solids circles and scale bar, uniform or custom symbols for each sample, sample legend. 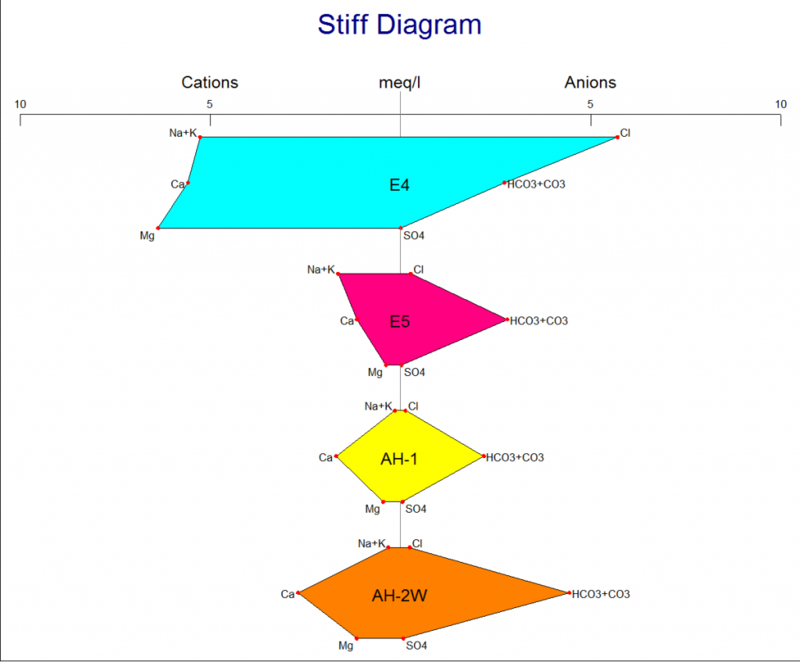 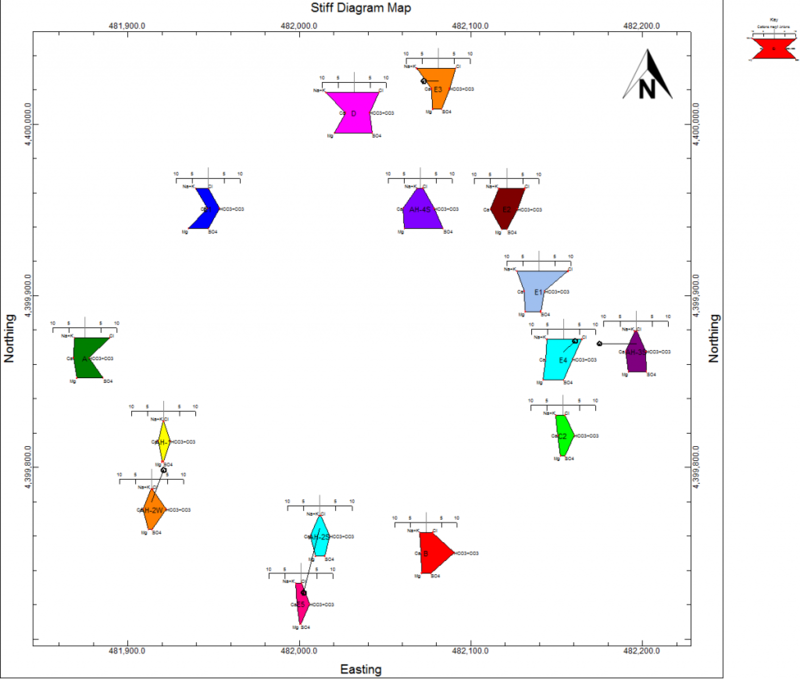 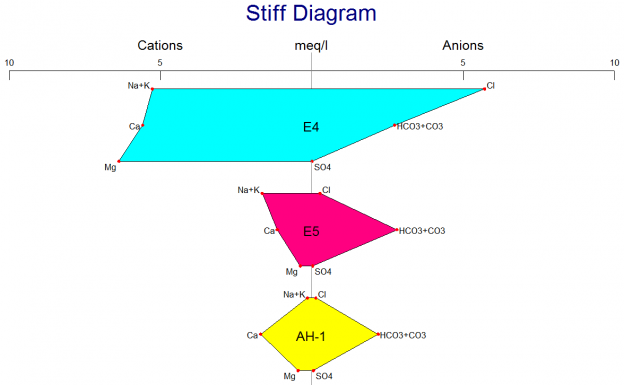 Stiff diagrams illustrate relative ion concentrations for multiple samples. Include one to many polygons in a single diagram. 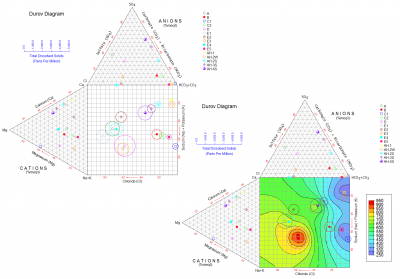 Label polygons with sample number, define polygon fill options and color. 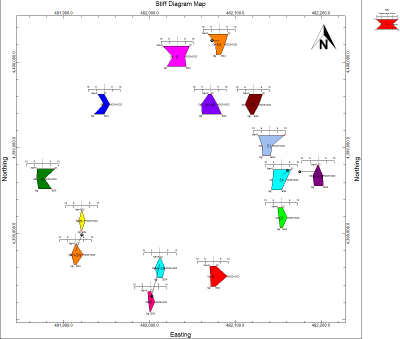 Plot hydrochemistry data as Durov diagrams, with optional point density of TDS color contours. 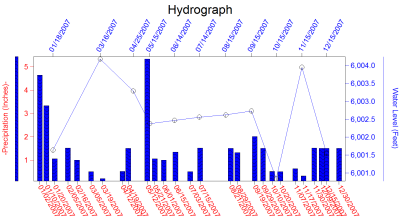 Hydrographs display aquifer water levels and precipitation over time, thereby indicating percolation rates. Display mini-hydrographs at borehole locations. 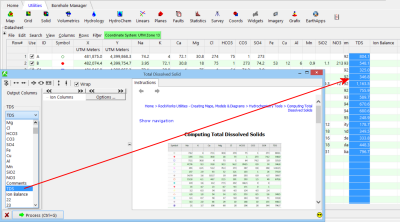 This entry was posted on August 3, 2017 by Rockware Test Admin.